Switchboard adds communications to streaming media to bring deeper engagement, data, and network effects. Let your listeners experience content together, like they are in the same room. Make music social again. Your audience can listen together like they are in the same room. 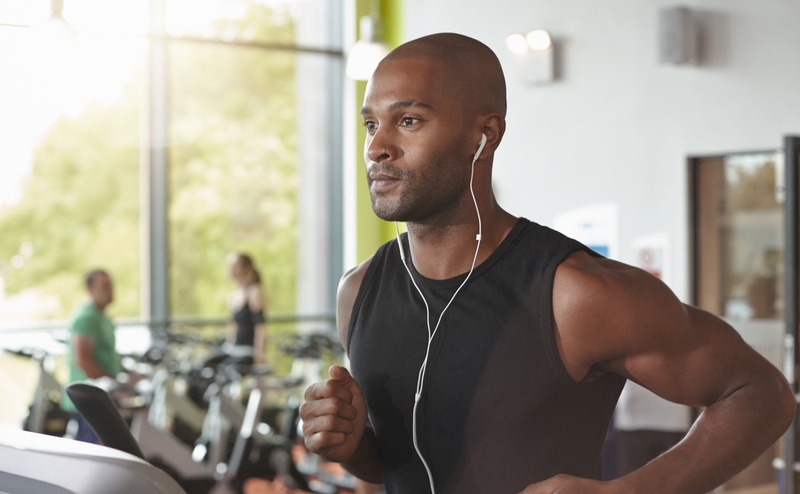 Thanks to our patented audio + voice mixing technology, people can talk with automatic volume adjustment. 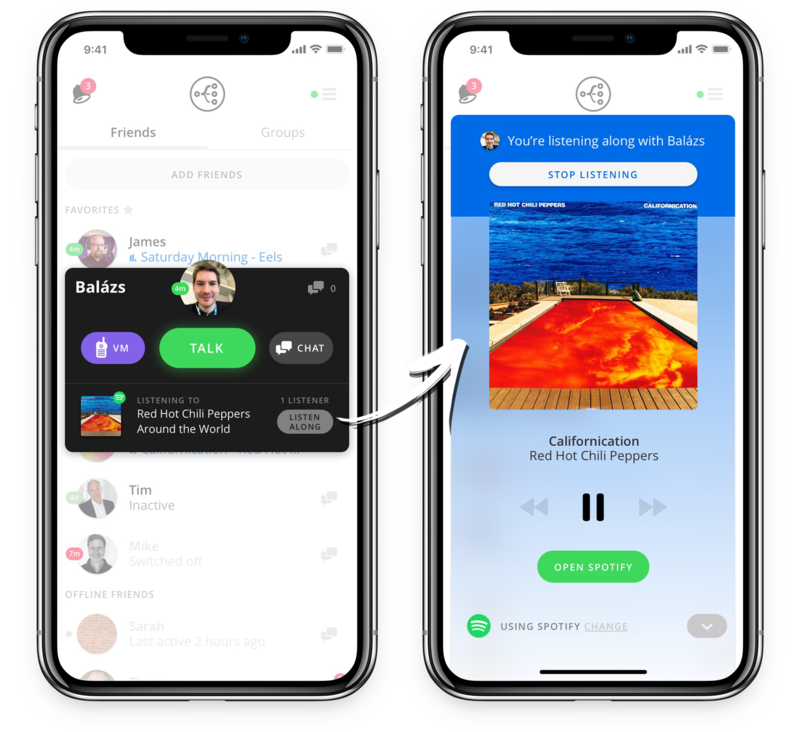 Listeners can engage in Voice and Text chat while listening. A great way to discuss and rate the content. Communication options for friends & public. Bring the artists into the experience. 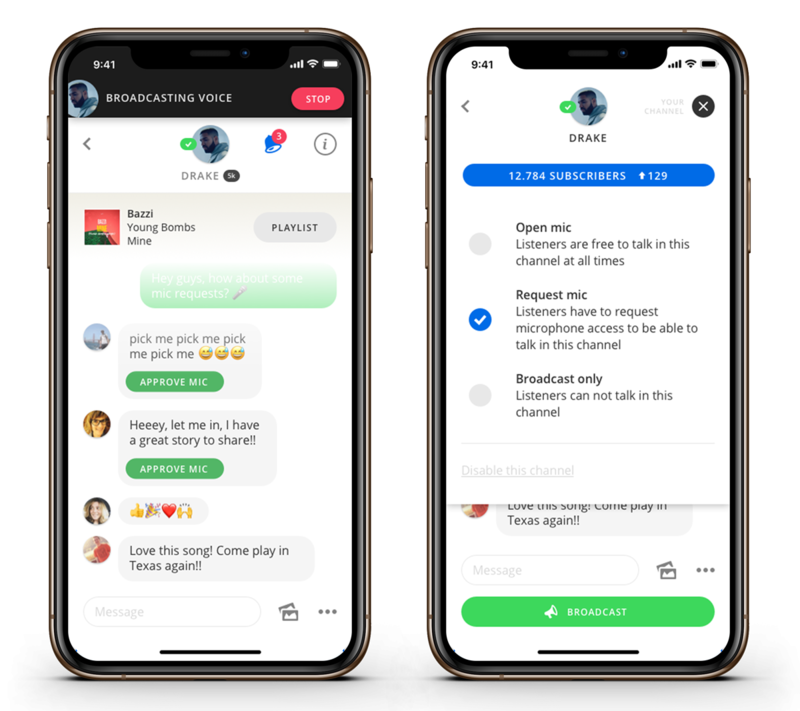 Artists can start live shows, broadcast their voice to subscribers, and be the DJ of their own channel. Exclusive or repeating events, Ask me Anythings, and celebrity hosted listening parties can drive fan engagement. 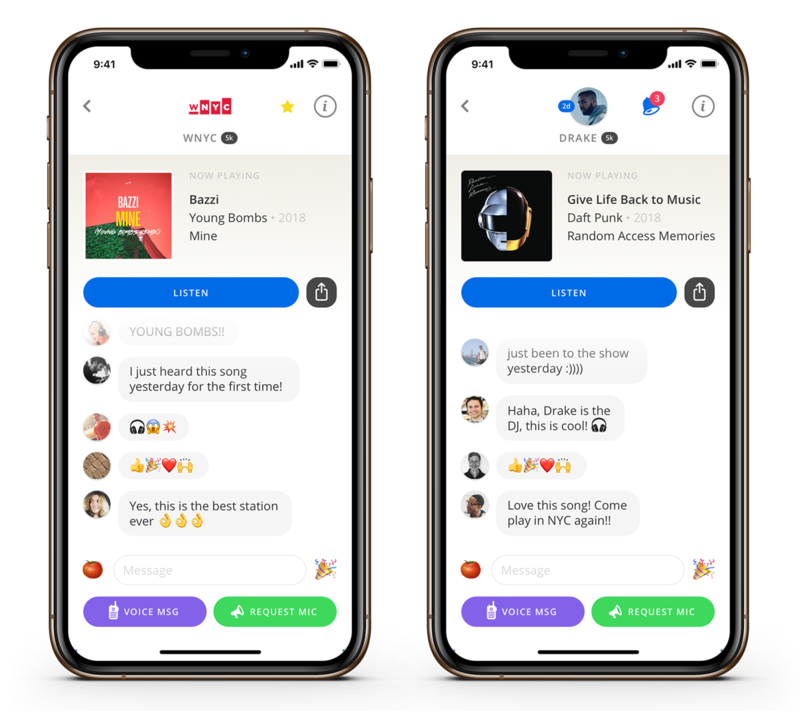 The host sets the channel's interaction rules while listener statistics provide feedback on engagement. 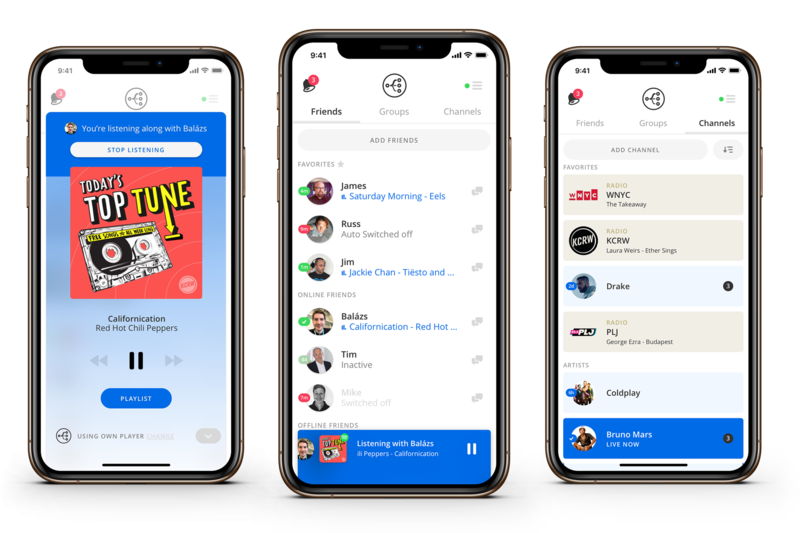 As soon as a user drops into a radio station, they can opt into connecting with others who are also listening to that station. 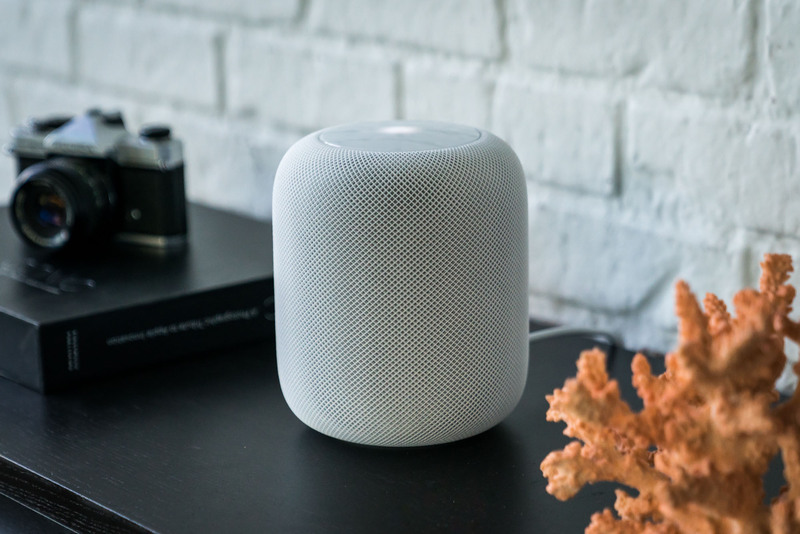 A live voice connection with automatic voice detection and volume adjustment makes this a one-of-a-kind experience that can be designed around friends or public rooms. Web or mobile. 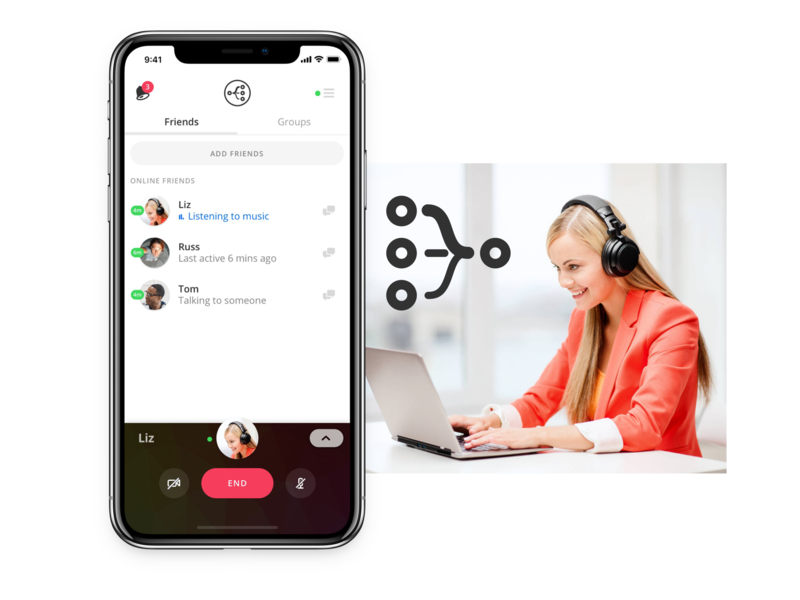 The Switchboard experience is built for voice interfaces. 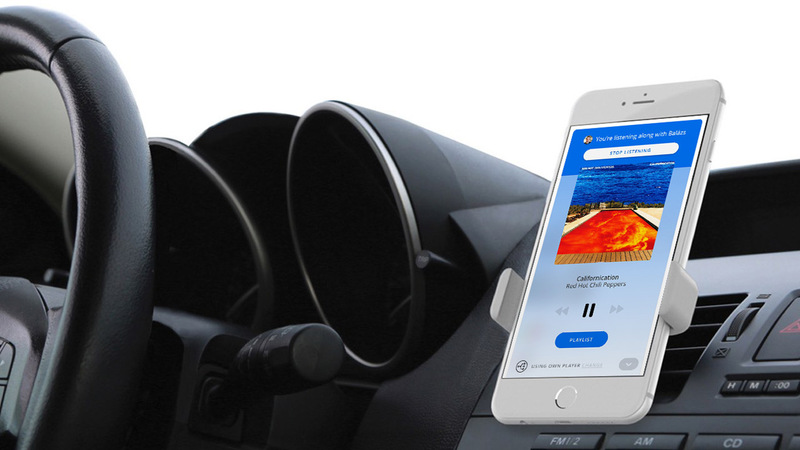 Hands-free control makes it ideal for use cases at home, in-car, at the office, and just about anywhere else. We offer White Label solutions for rapid prototyping & testing, as well as customized options using our SDK and support services. Be first-to-market with one-of-a-kind functionality to help maximize share and minimize churn.